Advanced user displays are pushing engineering design limits in new cars, airplanes, robotics, electronics, industrial equipment and consumer products. Today, it is not enough for a button or switch to be intuitive and user-friendly. The Internet of Things and increased connectivity feed a product’s user ever increasing volumes of data, making for control panels that are confusing, distracting, and often, dangerous, to the customer operating the product. Product manufacturers need displays that unobtrusively provide information without detracting from the user experience or the device’s functionality. In an ideal world, elements in a display that were not being used would become invisible when switched to the off state. Potomac Solution Potomac’s R&D team has helped manufacture an innovative solution to the problem of complex product displays through fabricating invisible hole backlighting for control panels. The elements of these new types of displays are not visible to the naked eye when they are not needed. When required, illumination from behind clearly shows the operator a pattern of micro-holes that have been laser drilled. The diagrams below demonstrate the basic concept of the invisible hole backlighting technique. 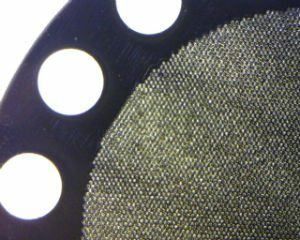 Conical micro-holes are laser drilled through the entire thickness of a light resistant material. The typical viewing distance for the product display determines the size of each hole. However, since the limit of resolution for the adult human eye is about 0.1 mm at 1 m from the eye, hole diameters must typically be below 50 microns in order for the hole patterns to be completely invisible when the backlighting is turned off. 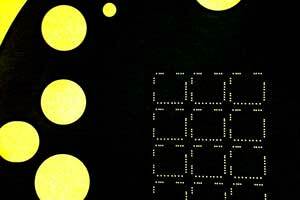 It is the larger, complex pattern of the tiny holes that allows the eye to pick up the display when it is in operation. Close spacing to produce higher light intensity within the unit area also results in the brightest, clearest, sharpest patterns to the viewer. Potomac’s R&D team has worked with our customers to fabricate new display technologies using the invisible hole backlighting technique. We can rapidly drill 1,000s of closely spaced holes measuring <20um in diameter with <50um spacing into metals, opaque plastics, or coated materials with the most optimized surface finishes and colors suitable for consumer displays. Most importantly, we can laser micromachine with the high precision, resolution and accuracy required to produce high light intensity that results in bright, sharp patterns for the product’s user. The ability to quickly and easily find a button or switch in many applications is critical to user safety. Optimizing and modifying standard laser machine tools, we’ve developed the repeatable, accurate, high-precision micro-hole drilling techniques that make the invisible hole backlighting devices work. Our extensive experience with a wide range of materials, also allows us to laser micromachine thin, fragile, easily damaged materials such as glass or organic polymers. 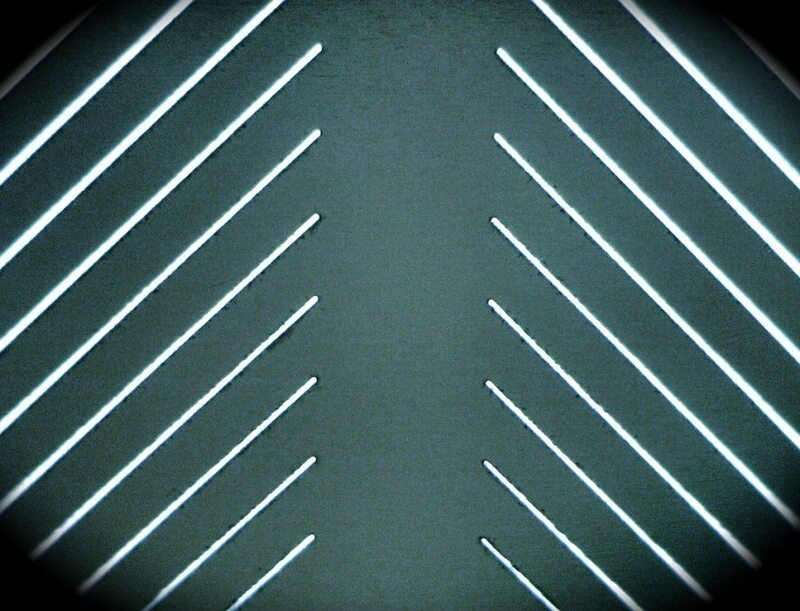 The dimensions needed for invisible hole backlighting are second nature to Potomac since in our 30 year history we pioneered many laser micromachining processes. When design engineers are looking for new solutions in next-generation displays, Potomac’s expertise in invisible hole backlighting applications can create an advanced user experience second to none.